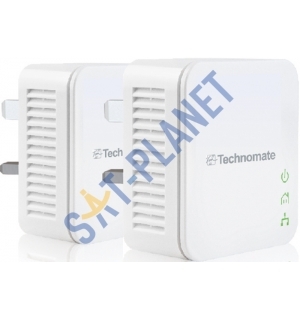 This high quality Technomate 200Mbps Homeplug Twin Set powerline adapter single kit, also called homeplugs, is perfect for connecting your PC or Laptop to a Router, ADSL Modem or Network switch with no additional wiring required. Turn any electrical outlet into a high-speed network connection.With the TM-200 HP you can extend your home network by using electrical sockets. 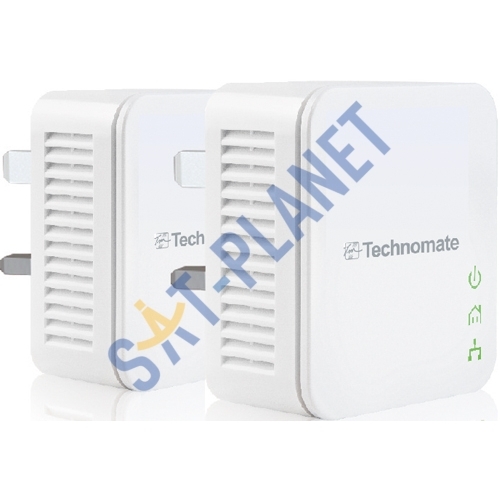 Forget about drilling and rewiring cable throughout your house, with the TM-200 HP you can have internet anywhere in the house (on the same powerline) in a simple and convenient plug 'n' play system with no set up required.Complying with the HomePlug AV standard, the TM-200 HP gives you a data transmission speed of up to 200Mbps, together with the built-in QoS that gives bandwidth intensive and sensitive applications a higher priority to remain stable and fast. No need to worry about wireless signal strength and walls reducing signal quality. Simply Plug 'n' Play ! No complex configuration is required for installation, just plug one adapter into a power outlet, connect it to your computer via the network cable, plug the second adapter into another power outlet and press the encryption button and you are ready to go! Connect your Internet-ready TV, Blu-ray™ player, IPTV set-top box or gaming console through any power outlet in your home for super-fast 200Mbps transfer speeds. 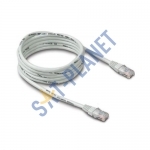 With its powerful 128-bit AES encryption, your network is secure and protected.